The 35mm f/1.8 was the first prime lens Nikon delivered for the Z cameras. As such, many looked at it as a harbinger of lenses to come, as Nikon also promised f/1.8 primes at 20mm, 24mm, 50mm, and 85mm. The most common reaction to the lens when it was first shown was "it's too big and it looks cheap." Too big apparently means 3.4" (86mm) long and 2.9" (73mm) in diameter. I'll say this: it does look a little bigger than we were expecting (mostly in length), but it still is a very nice size on the Z bodies. At 13.1 ounces (370g) you're going to find it's a bit heavier than you expected if you were one of those that said "looks cheap." Nikon has for some time now been making primes with what essentially is a simple polycarbonate shell protecting a more solid inner core. I happen to like this construction, as it is more impervious to weather (and this lens is heightened in that approach with a lot of gasketing), and absorbs modest knocks without compromising the inner elements. Speaking of which, we have 11 elements in 9 groups, three of which are thin aspherical designs, and two of which are ED glass. Nano coating is used internally to control reflections. The aperture diaphragm is the circular 9-blade Nikon has been using lately, and apertures range from f/1.8 to f/16. Minimum focus distance is about 10" (0.25m), and the maximum reproduction ratio is a bit over 1:5. Not nearly into macro range, but also not a stand-back slouch, either. For the things you'd use this lens for, it's got more than enough focus range, I think. Focus is actually done internally as a rear focus group move, and using a stepping motor, much like the AF-P lenses. Nikon claims "distance information...[is] visible in EVF with manual focusing." Not quite. That consists basically of a bar with the left side labeled with a flower and the right side labeled with the infinity sign. That's not distance "information." It's an idiot bar. Nikon also claims that focus breathing is effectively compensated. I've been able to verify that in use. The focus motor, aperture diaphragm and control ring (focus ring normally) are all said to be "minimized," but if you put your ear up to the lens you'll definitely here it wheezing. An on-camera mic may pick that up (the internal ones do). Up front we have 62mm filter threads and a supplied HB-89 lens hood (B=bayonet). The hood is relatively deep with a bit of petal to it. The lens is made in China and lists for US$850. You get a flimsy one-size-fits-all pouch with the lens, ala what Fujifilm has been doing. One problem I have is that the focus ring is wide and slips easily. That means that when you're trying to mount or remove the lens you have a tendency to grab by the focus ring and then you have no leverage to twist the lens to mount it. You can't really grab the slippery area close to the camera easily if you have big hands. Thus, get used to grabbing the very front of the lens when twisting it on and off the mount. The focus ring itself is as smooth and quiet as any I've seen recently. Unfortunately, Nikon's hysteresis is wrong. It's very difficult to precisely manual focus the lens, and the rangefinder indicators aren't a lot of help there as they'll just display blinking > < right up to the moment you obtain focus, at which point even the slightest movement of the ring starts triggering >°< flicker (the green in-focus indicator tends to flicker between green and red, too). 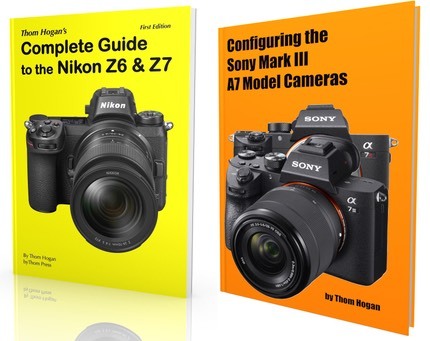 Of course, you're most likely letting the camera do the heavy lifting, especially considering how precise the AF-S focus on the Z lenses can be. So still users are just going to stick to autofocus. I wonder about video users, though. The lens feels near out-of-control during video operation with manual focus. Putting a gear ring on the lens isn't likely to help a lot given how Nikon's chosen the rotation response. Focus performance: the Z S lenses are using motors similar to the AF-P ones in some recent DSLR lenses. Fast, silent, reliable. Unlike the 35mm f/1.8G I never really felt that there was focus lag caused by the lens (in low light and low contrast conditions, the Z cameras can still slide to focus, though, but that's almost certainly the camera's fault, not the lens). Sharpness: this lens wasn't quite as sharp at f/1.8 as I expected, but it's still really, really good. Indeed, it's better than the F-mount 35mm f/1.8G wide open in the center and further out towards the edges than you'd expect (past the DX crop). It's not quite in Otus-Land in the exact center, but it looks more similar to that reference lens as you move outward towards the corners (Note: the closest Otus is the 28mm, which is what I'm comparing to here). Stopping down to f/2.8 or f/4 will get you everything the lens can deliver, which is a very sharp and excellent field across about 5/6ths of the frame, with only a tiny bit of softening in the extreme corners. Overall, the 35mm f/1.8 S is probably the second-sharpest 35mm I've encountered. f/4 is the best aperture, but f/2.8 is fairly close. One question you might ask given my review of the 24-70mm f/4 is how does that lens perform at 35mm compared to the 35mm f/1.8 S? Pretty well, actually. The 35mm f/1.8 S is clearly sharper in the center at f/4, but as you approach the frame edges the zoom is actually holding up really well and almost matches the prime. Almost. Like the 24-70mm f/4, the 35mm f/1.8 S seems to be remarkably free of distance bias. It's as sharp at its closest focus distance as it is at infinity as far as I can tell, something we just didn't see in the DSLR lenses. One of the corrections you can clearly see in 35mm f/1.8 S is that for coma and spherical aberration as you move to the corners. Previous Nikon 35mm lenses had high degrees of coma, while this new Z mount lens has very little. Stars or point sources of light in the corner stay somewhat intact, with only a slight amount of what I'd call "flattening" (a slight elongation on one axis). Chromatic aberration: latitudinal CA is very low, and clearly better than any 35mm Nikkor previously produced. This type of CA is easily corrected. Unfortunately longitudinal CA is very present, and it stays present at apertures where I'd expect it to have been more mitigated (e.g. f/4). It's difficult to correct longitudinal CA, and it will show up on high contrast edges, particularly towards the corners of the frame (it also impacts bokeh, see below). Vignetting: again we have the issue of in-camera lens corrections—which carry over into the raw files and are automatically applied by Adobe converters—to get out of the way. With the corrections in place, there's still significant vignetting in the corners at f/1.8 and f/2 (mostly gone by f/4, but not fully ignorable until f/5.6). Without it, there's a very high amount of vignetting in the corners that doesn't ever completely disappear. Flare: lowish in veiling glare, which seems to be a trait of these S lenses. Likewise, in-frame flare artifacts generally are minor and tough to produce. When they do appear, though, you get a multi-color artifact, though, which is a little tougher to correct in post production. Worst performance for flare is with a strong light source right outside the frame edge, by the way. The lens seems better behaved when the light source is within the frame. Bokeh: clear onion-skin effects with a bright border, unfortunately. The edge will also be colored with longitudinal CA at wide apertures in the center of the frame. Round bokeh becomes elliptical in the corners, but doesn't show the dreaded aperture/baffle cutoffs. The look is not particularly bad overall, but note that I think you want on-sensor VR turned off with this lens to get the best bokeh-rendering it's capable of. I was amused that Chris Niccolls (formerly of Camera Store TV, now doing dpreview's video reviews) was upset that Nikon sent a 35mm f/1.8 S with his review Z6. I'm with Chris on this: I personally find the 35mm focal length to produce about the least useful angle of view for my work. It's too long for clear wide angle perspective manipulation; it's not wide enough to get me clearly far enough away from a normal lens perspective. This focal length is kind of in a no-man's land between real wide angle and normal. That said, there are times when it's a very handy focal length. In particular, I tend to use it during events, as it's wide enough to stay closer to subjects but it doesn't have the ugly distortion of people on edges that a 24mm or wider lens does. Wedding photographers pretty much all have a fast 35mm prime because it keeps things simple, produces great results in low light, and doesn't put perspective distortion into their shots (don't ask me to shoot your wedding, I might only use a 14mm and 400mm lens ;~). Moreover, 35mm is a "classic" focal length (the others being 50mm and 70/85mm). It's a focal length whose look has been well-established in photographic history of all kinds. 35mm was an easy lens to make early on, and didn't have the design challenges that making wider, fast primes did. As many of you are well aware, 35mm (effective) is a focal length that's on my "required to make" list for any camera format. And that's for the things I've written in the last two paragraphs. It's just not my cup of tea, which is probably why there aren't any stellar illustrative photographs with this review ;~). That said, I'm glad Nikon is making virtually every lens on my "required" list, including this 35mm f/1.8. It's a really good lens, and it's going to please those that need the focal length. It simply doesn't have any significant flaws other than perhaps vignetting, particularly so if you use the lens corrections Nikon supplies (in camera and in raw files). While it may seem pricey at first with it's US$900 price tag, it's an upgrade from the 35mm f/1.8G ED lens that many of you have been using with your Nikon DSLRs. It's an upgrade from virtually just about any 35mm lens I've used, frankly. 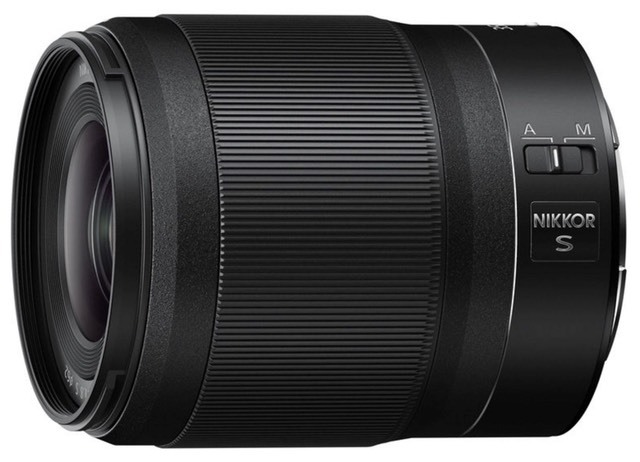 The most recent Sigma Art gives it a run for the money, but that lens lists for the same price and is heavier (it does go to f/1.4, though).